SINGAPORE - A 99-year leasehold condominium site in Clementi Avenue 1 was launched for sale by the Urban Redevelopment Authority (URA). 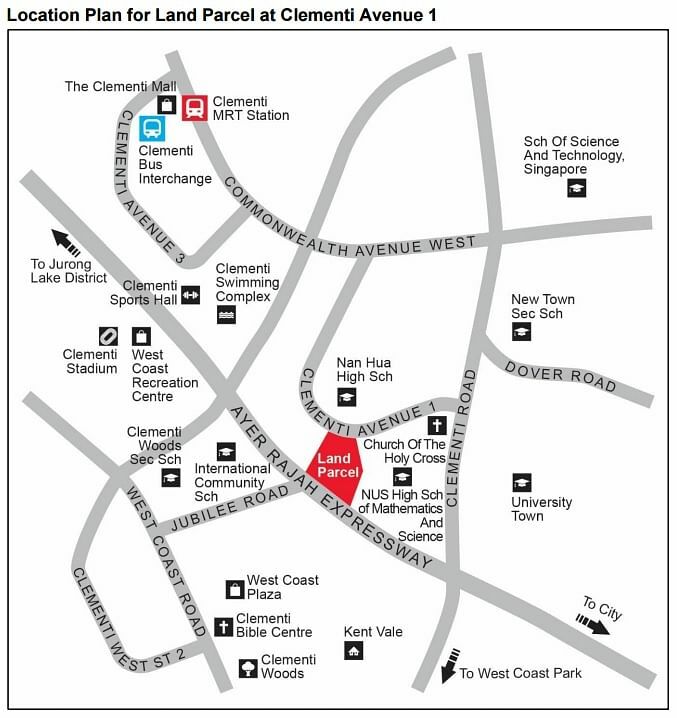 The site is opposite Nan Hua High School and near NUS High School of Mathematics and Science. The 13,000 square metre plot can potentially yield about 460 units, URA said in a release on Friday (Oct 23). It has a maximum permissible gross floor area of 45,633 sqm. The site is on the confirmed list of the second half 2015 Government Land Sales Programme. Its sale by tender will close on Dec 9, 2015.